Having worked in the FMCG industry for longer than I care to remember, I have always used CTCA's services for outside debt collection. David and Kevin Hood were initially recommended to me by another credit manager in the same sector. This being at the start of my credit career some 20 years ago, the service they provided and continue to offer has never faltered. They deliver an invaluable and professional service that has only ever produced good results. In the past, it was considered a rarity to transfer a customer to outside debt collection. However, in todays economic climate, we have found their services instrumental in chasing down those "hard-to-collect accounts". Their charges are competitive and as the client you are kept informed each step of the way. I have no hesitation in recommending them as the "secret weapon" in your collection toolbox! Having used David Hood's company for over 25 years in sectors as diverse as Chemicals (Du Pont) and Photographic (Fujifilm), I can honestly say that despite approaches from many other providers I have never been tempted to change. David and his team have developed an almost encyclopaedic knowledge of their clients' customer base (particularly in Photo) and this ensures that when they are instructed, results follow. All at very competitive (if not unbeatable) rates. If friendly and efficient service is what you are looking for, look no further than CTCA! Over the past ten years CTCA have consistently provided us with a cost effective, reliable and effective debt recovery service. David and Kevin Hood both clearly know their stuff and are always keen to help with any queries we may have. Consumer Healthcare. GB & I.
Agfa Gevaert Ltd have been using CTCA for their outside collection work for nearly 20 years, and have always found them to be both extremely professional and honest, with very competitive rates. David & Kevin Hood have a great deal of knowledge and expertise in this field and have very good customer skills, as do their staff. An added benefit is having a firm of solicitors, which works very closely with CTCA, on the same site. This saves a great deal of time and money. Another added advantage. I have used CTCA since their formation around 20 years ago. I have always found them to be professional, reliable, effective and competitive with their rate. They also have the added advantage of an on site firm of solicitors. 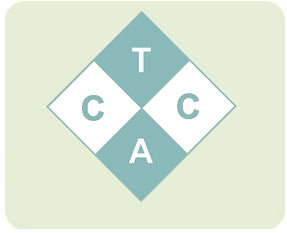 I would have no hesitation in recommending CTCA to a prospective client. CTCA's pricing strategy has always been very competitive and the service they offer is second to none. From my own personal experience I have no hesitation in recommending their services. Procter and Gamble have worked closely with CTCA collection agency for more than 10 years and more frequently in past months following changes in our economic climate. CTCA's work on any project passed by P&G has been completed to a very high standard and always to a satisfactory conclusion. Procter and Gamble continue to use CTCA for all projects and find their competitive rates coupled with their on site firm of solicitors, TG Baynes second to none. CTCA's Kevin Hood and David Hood's extensive knowledge with their area has proven invaluable to me over recent months, I am always confident that any question or query I have in relation to one of our projects can be answered expertly and always professionally. UK and Ireland Accounts Receivable Stewardship Owner. I have been a client of CTCA (since their inception) in my various roles as Credit Manager in several organisations. They are open, friendly and easy to deal with, always fitting their systems and processes around my requirements (rather than expecting me to accommodate theirs). Their rates are very reasonable, and their results are good -they get to the root of the problem quickly and efficiently, without wasting my time. I have used CTCA for the last 10 years and have found them totally professional & extremely effective. This is due to their immense knowledge & experience in all areas of debt recovery. I will be continuing to use them for the next 10 years!